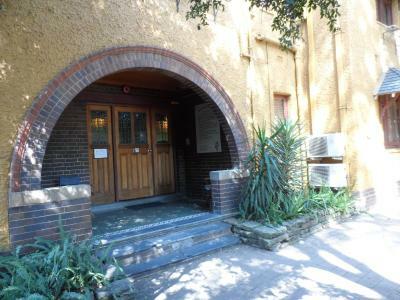 Location was excellent - close to Burwood Station and Westfield Burwood. Microwave and small fridge in the room, but no dishes or cutlery. Comfortable beds and a ceiling fan as well as the air conditioning. We didn't get to have breakfast as it was available too late for us. But we did enjoy knowing the police were just up the road if we needed them....as evidenced by the sirens going all night. Staff member told us we couldnt check in till 3. Website states 2. Room had coachroaches. No comfort at all the matresses were thin. Doonas were dirty. Room smelled. convenient location to where I needed to go for a social event. 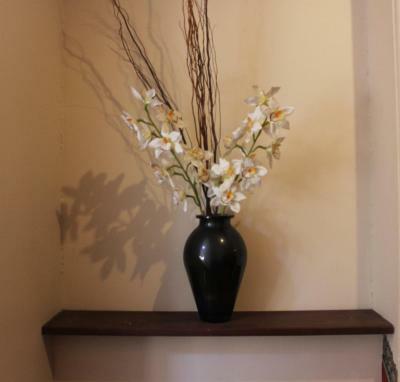 Burwood Bed and Breakfast This rating is a reflection of how the property compares to the industry standard when it comes to price, facilities and services available. It's based on a self-evaluation by the property. Use this rating to help choose your stay! In a historic mansion a 6-minute walk from Burwood Train Station, this bed and breakfast features a guest lounge with a fireplace, free home-cooked breakfast and free parking. All rooms have cable TV and a refrigerator. 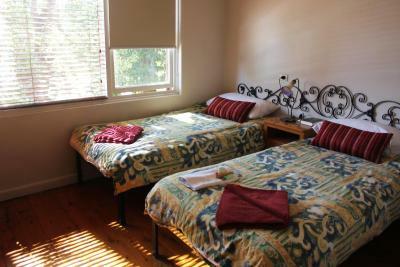 Burwood B&B is located a 12-minute drive from Sydney Olympic Park, and ANZ Stadium. It is a 15-minute train trip from the center of Sydney. Sydney Harbour Bridge and Taronga Zoo are a 30-minute drive away. Shared facilities include a guest kitchen and a guest laundry. There is a heritage dining room where guests can enjoy a cooked breakfast of bacon, eggs and mushrooms. 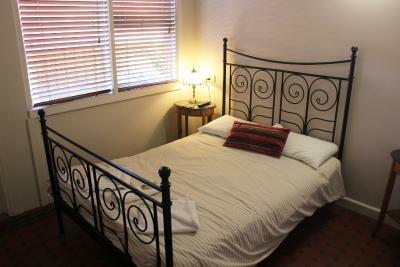 All rooms at Burwood Bed & Breakfast feature heating and tea/coffee-making facilities. 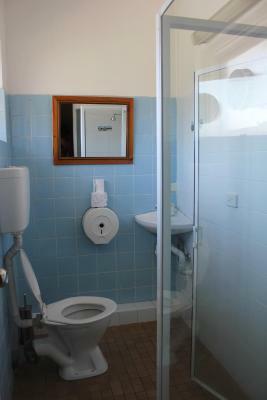 Some rooms include a private bathroom. Several shopping and dining options are within a 5-minute walk of the property. Burwood RSL is located right next door and provides bistro meals, beer and wine. Burwood is a great choice for travelers interested in convenient public transportation, entertainment and tourist attractions. 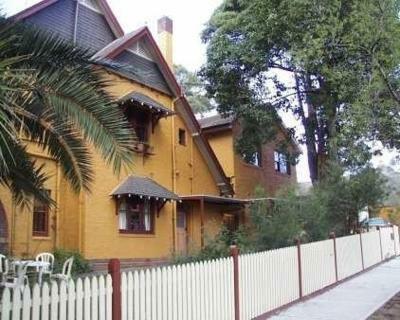 When would you like to stay at Burwood Bed and Breakfast? This room features a TV with cable channels, a refrigerator and tea/coffee-making facilities. It includes access to shared bathroom facilities. This spacious room offers a TV with cable channels, a refrigerator, microwave and tea/coffee making facilities. Area Info – This neighborhood is a great choice for travelers interested in convenient public transportation, entertainment and tourist attractions – Check location Show map Guests loved walking around the neighborhood! House Rules Burwood Bed and Breakfast takes special requests – add in the next step! All children under 2 years are charged AUD 11 per person per night in a crib. Burwood Bed and Breakfast accepts these cards and reserves the right to temporarily hold an amount prior to arrival. Please note that you cannot check-in after 22:00. The TV was strapped to the wall stand and bent forward so you could only watch it lying down. There was a big step up into the en-suite - about 30cm - and no handle on the inside of the sliding door to close it properly. Also the door hung from the top track and was not secured at the bottom. There was a continuous flow of water (clean) on the bathroom floor. Off street parking for a small car only. Reception wouldn't get off the phone to book us in. We got 1 towel between 4 people. The beds were the most uncomfortable we've ever encountered. The bathroom was so dirty none of us could use it. The half-way house undesidrables were hanging around out the front of the building. There were 3 car spaces for 25+ rooms. Worst accommodation we've ever stayed in. Street location & road noise, hot breakfast offered could have been more than 1 egg per person on a piece of toast, hard beds. Decor was very basic, more like a youth hostel than a B&B. The beds were not comfortable. Did not have any spare pillows or blanket. Room was very tight to maneuver around. The shower did not work properly, couldn't regulate the water temperature. Needed a bin in kitchen, though there was one in bathroom. Could not watch T.V from the double bed only the two singles could view T.V. There was no screen door so you were reluctant to leave front door open as it was up against the walk way so no privacy or opportunity to let in the breeze. Not cleaning the floor or room or changing towls .I went up stairs i seen whasps in the shower. it felt creepy upstairs and all around this ex mental hospital i was told .The lady at the reception only comes and go's only certain hours of the day .The front door is locked all the time .breakfast was very dodgey it felt like they skimmed on it in all areas.it had all bangs and knocks all night from upstairs it may have the past still living there after the dark hours of the night . Better beds. Cleaner linnen. Nicer staff that follow what the website states. It was a bit musty smelling & we had a few cockroaches in our room. The beds were rock hard, I think I would have been better off on the floor. The rooms were all different sizes so you might luck out and get a spacious room or get a shoebox, we got a shoebox and it wasn’t very comfortable. Having a cooked breakfast was nice! It was such a beautiful B&B and in the perfect location so close to all our needs. looking forward to the bacon eggs and mushrooms but not aware that because we booked the family room we were allowed an egg per person.